Product prices and availability are accurate as of 2019-04-19 09:57:19 EDT and are subject to change. Any price and availability information displayed on http://www.amazon.com/ at the time of purchase will apply to the purchase of this product. 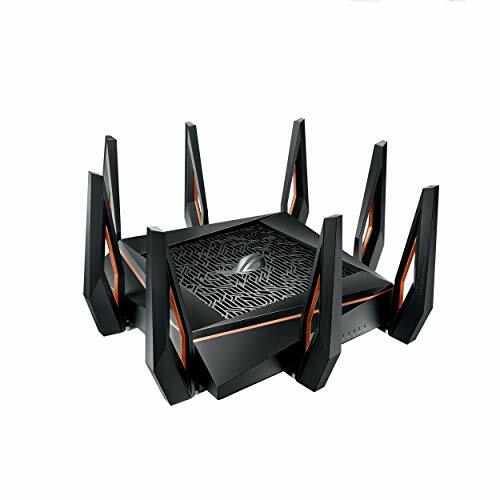 Built for gaming with high speed & Gigabit ISP services, the GT-AX11000 offers that fastest Wi-Fi for current 802.11AC devices as well as next Gen 802.11ax devices. 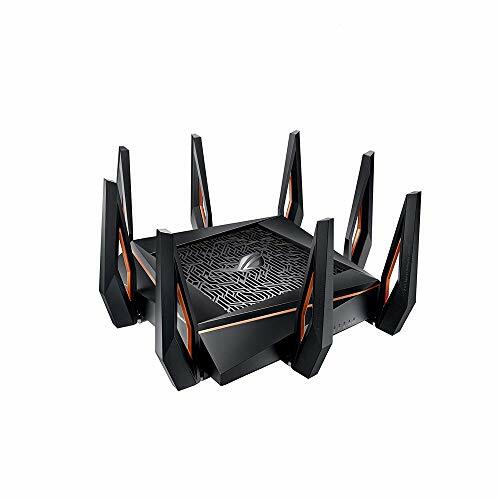 The GT-AX11000 produces Gigabit speeds while providing extensive range for devices that demand Fast & consistent gaming, uploading, and streaming all at the same time. 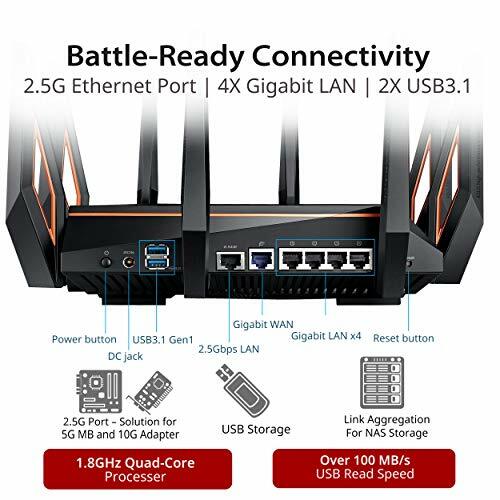 Triple-level game acceleration - accelerate game traffic with device, game packet and game server prioritization Cutting edge hardware offers the best performance - 1.8GHz Quad-Core cpu and 2.5G gaming port for ultimate performance. 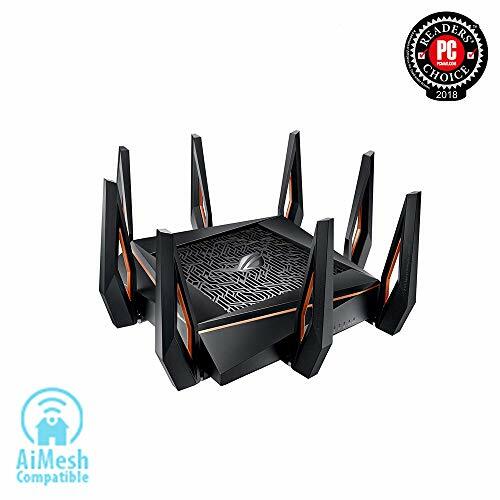 Your own gaming mesh network - Compatible with ASUS AiMesh Wi-Fi system for seamless whole-home coverage. 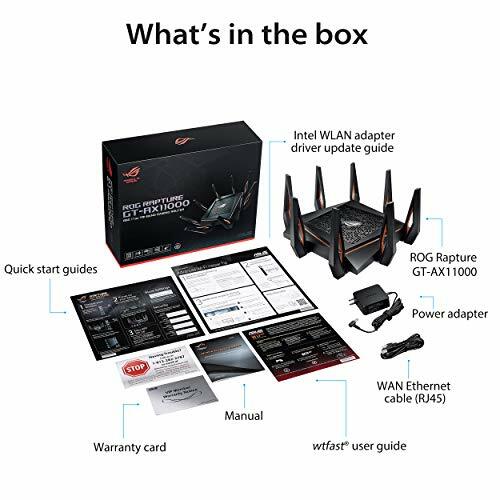 ASUS wrt enables support for open, advanced monitoring and control which includes device bandwidth utilization as well as device or usage prioritization. 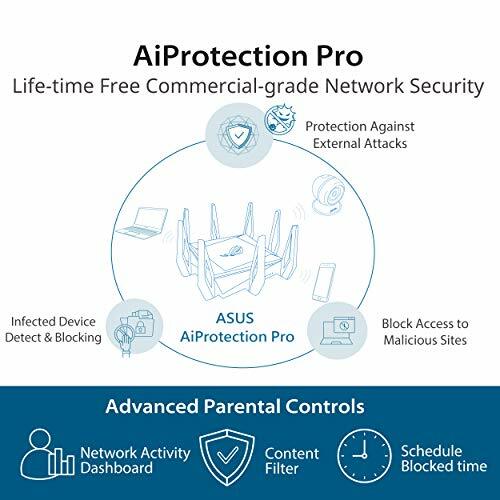 ASUS AiProtection security to neutralize internet threats before they hit your network.